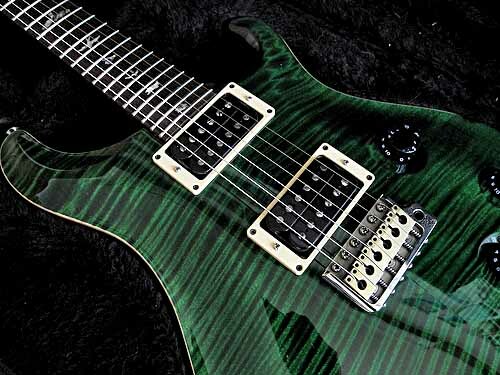 Paul Reed Smith guitars—sometimes better known by the abbreviation PRS guitars—is named for the founder, who started the company back in 1985. This Maryland-based company is best-known for its American-built custom models, but also makes an SE line out of their Korean factory that gives you a very similar tonal palate at a lower price. With their scale length of 25” they can in some ways be thought of as a compromise between a Fender and a Gibson, with a tone that’s warm without losing definition, and a soundboard that’s relatively easy to play. PRS guitars also come with their own custom pickups that help shape their distinctive sound. 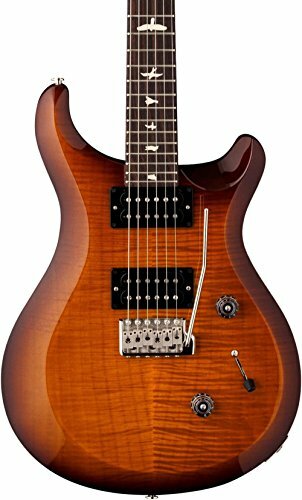 Most PRS guitars use a mahogany body with a maple top, with rosewood fingerboards, with some variation in the material used on the neck; though the wood used doesn’t affect the sound of an electric guitar as much as an acoustic, this choice of woods does add to the warmth of the PRS tone. The S2 series reimagines the classic PRS design of the custom 24, giving it a new, more simplified aesthetic with an ergonomic design that’s easy to play. It has a similar body shape but adds an asymmetrical beveled top that gives the guitar more resonance. The custom-wound pickups give this guitar a lot of versatility, with a sound that calls back to original vintage bass pickups and a 3-way blade pickup switch to let you customize your signal. The mahogany neck is built with a scarfed headstock and plain splice that makes the joint extremely durable. The proprietary tuners at use in the S2 line are similar to the Phase II tuners used on classic models, with the same brass shaft and internal configuration that helps these instruments stay in tune so well. 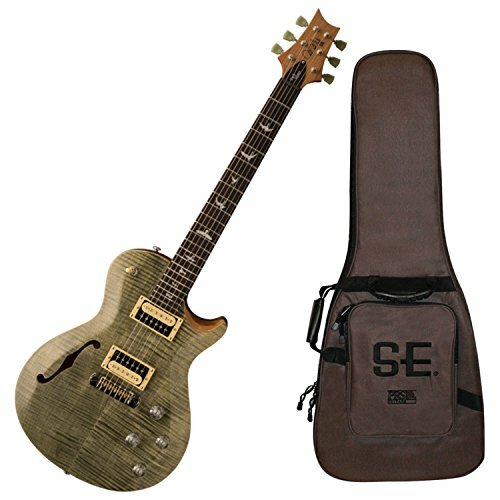 Thanks to the SE line, you can get the craftsmanship of a Paul Reed Smith guitar for a budget-friendly price. It’s built with a low action making it comfortable to play right out of the box. The installed humbucker pickups have a smooth tone with a strong bass that gives chords a good balance. The eye appeal is there, too, with a choice of vibrant colors and the elegant bird inlays on the fretboard. The SE version of the Standard 24 gives you the tonal versatility and rugged construction found throughout the PRS catalog at an incredible value. 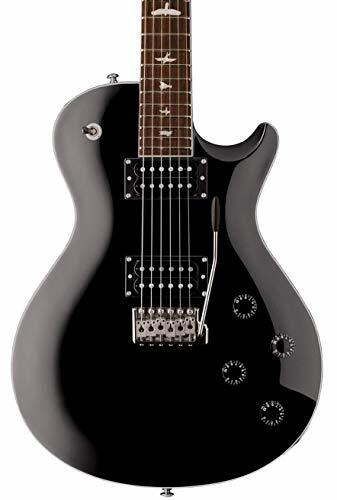 Hands down, this is one of the best PRS guitars for the money. 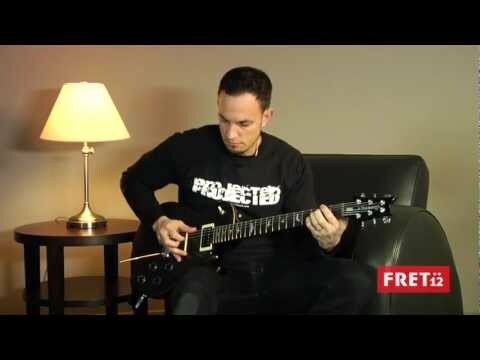 In both his work as lead guitarists for bands like Creed and Alter Bridge and as a solo artist, Mark Tremonti is known for his melodic lines and heavy rock style. This Custom model from PRS was designed to his specifications to bring that same balance to your playing. The body uses a solid body single-cutaway design, constructed of mahogany for a deeper tone and fuller sustain with a figured maple top and neck for warmth and clarity. The humbucker pickups, tremolo bridge, and nickel tuners are all proprietary PRS designs, built to compliment guitar’s natural sound. If you want top value for your buck, this is among the best PRS guitars period. This guitar was designed by Zach Myers, the lead guitarist of Shinedown, who has played a PRS Custom 22 since he was 15 years old. The model he designed for PRS has a chambered mahogany body with a maple top that has a single F-hole that smooths out the mid-range and gives the tone a natural resonance. Being a semi-hollowbody, it’s also lighter than most PRS guitars, making it more comfortable to jam for longer. The 245 humbucker pickups are made in-house to pair perfectly with the instrument’s tone controls and 3-way toggle pickup. The sound and feel of a guitar is going to vary drastically when you compare one brand to another, but when you’re looking at multiple instruments put out by the same company, the differences between the instruments are often far more subtle, especially with a brand like PRS that uses similar construction techniques and materials in all their guitars. The construction of the pickups that come installed on the guitar is the most common source of variation between PRS models. The majority of PRS guitars are wired for humbucker pickups, but the material used in the magnet and the way that they’re wound varies between models. Generally speaking, the more expensive the guitar, the better the installed pickup will sound, but better is always subjective when it comes to sound. The SC 245 pickups that come installed on the Zach Myers above have a clear, vintage-style tone that many jazz and rock guitarists find ideal; the zebra pickups on the company’s custom models give the tone a bit of a brighter edge that may be better for players in harder styles. While it’s easy enough to install new guitar pickups, PRS specifically constructs its pickups to bring out the instrument’s best tonal characteristics; it’s this meshing of the sounds that makes the PRS tone so smooth. 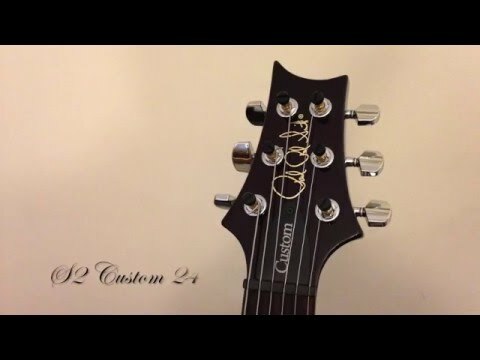 Most PRS guitars come with a standard 24 frets and a 25” scale length. 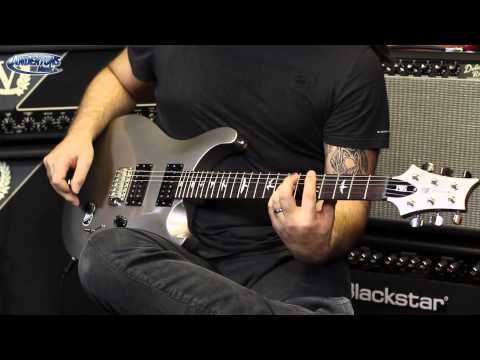 If you’re a smaller player, the Zach Myers may be the best PRS guitar for you. It has 22 frets and a slightly shorter scale length, meaning smaller hands and arms will have an easier time playing it; the lighter semi-hollow body construction can also make it more comfortable. One thing that distinguishes PRS from other guitar manufacturers is their commitment to quality across their product line. The “budget” versions of some guitars bear almost no resemblance to the top of the line models everyone wants to play. 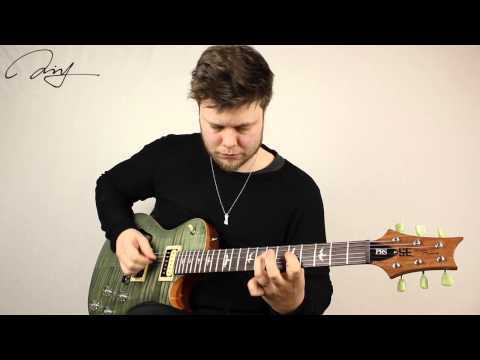 Intonation is one big thing you’re likely to see change across models; generally speaking, the more expensive the guitar is, the better (and longer) it will stay in tune. The height of the action and construction of the neck and tail will also improve as you climb the product line ladder. 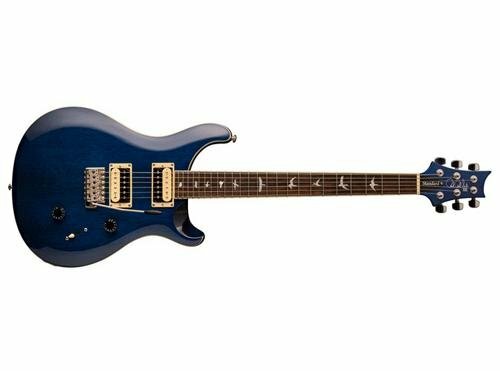 If money is an important factor in your decision, though, you’ll be better served by a PRS SE than by the low-price entry from most other major models.